The South African Lyno course is presented in Cape Town and Johannesburg. The course runs over a period of 3 months and includes 3 weekends of practical training, compulsory case study work as well as a practical certification exam. Lyno is a traded brandname and the intellectual knowledge is protected by the Lyno Academy. Practitioners who are certified by the Academy, are expected to work according to the Lyno principles, which includes the holistic assessment of movement, the specific Lyno release techniques and prescribed rehabilitation of movement. Note that this is not a therapy course. We will not teach you how to diagnose or treat injuries or medical conditions. What you will learn is how to guide your clients towards body awareness, unlimited movement, full muscle activation and maximum performance, which together creates the optimum basis for health and self-healing. The course is open to all individuals who are working in the field of health, wellness and exercise and who enjoys problem solving. All applicants should have at least one year experience of working with patients or clients. The course is divided into 3 different modules. THE FIRST MODULE deals with all the linear lines of movement; forward flexion, backwards extension, side flexion and the core. You will learn how to analyse their movement, how to assist the client to unlock limitations by using our unique dynamic technique to release fascia immobility and restore full movement and function. This module also includes the Bunkie Test, which will enable you to test holistic function. THE SECOND MODULE includes the assessment and release techniques for the scapula and arms. THE THIRD MODULE focusses on full body spiral patterns. Students will be expected to perform assessments and practical work on 4 different case studies (4 sessions each) between modules 1 and 2, and between modules 2 and 3. After module 3, they will have to complete 5 -10 different case studies (5 sessions each) in order to qualify for the certification exam. The certification exam must be done within 4 months after completing the Module 3 course. Students who fail to do the practical exam within the required period, will have to repeat the Module 3 course before they will be allowed to do the exam. The cost for the practical exam is R1000. Students, who fail the exam, will have to repeat the Module 3 course and hand in another 25 case study hours in order to qualify to do the practical exam again. Once you have completed the exam successfully, you will be certified as a Lyno practitioner, which allows you to work under the Lyno brand name and gives you access to forums and continuous education. Once you have completed the third module, you will automatically become a student member of the Lyno Academy. This means that you will be included in the Lyno forum where members discuss case studies and new research, as well as ask questions. Student membership is valid for only 4 months. Practitioners and therapists who are not interested in working as a certified Lyno Practitioner, but who would like to attend the course only to broaden their knowledge, may become a FRIEND OF LYNO. As a FRIEND OF LYNO you will receive all the updates and be part of the Lyno forum. FRIEND OF LYNO Membership Fee (South Africa) R120 per month. The cost of the full course is R9600, which can be paid in 3 instalments of R3200 each, payable 4 weeks before each module. Your first payment of R3200 will secure your spot on the course. The Lyno Course in Europe consists of 3 modules, each running over a weekend and with a period of 4 weeks in between. The course is open to physiotherapists, osteopaths, massage therapists, sport therapists, physical trainers and everyone who has to deal with chronic recurring injuries and pain. MODULE 1 (2 days) includes an introduction to the Lyno Method, basic fascia anatomy, the tests and releases for the linear lines of movement, as well as the Bunkie Test and the Yellow Pages Wedge technique. Course attendees will learn how to look at the the whole body to understand how dysfunctional fascia patterns can be the cause of recurring injury and pain. MODULE 2 (2 days) will include the tests and releases of the scapula and arm, including spiral movement patterns of the arm as well as the two spiral patterns of the upper body. MODULE 3 (2 days) will include the tests and releases of the lower extremities and the analysis of the full Lyno assessment (the FROM TEST) in order to set up a treatment regime. After the first module, students are expected to perform 16 (60min) practical sessions on friends or family members, which should include the full assessment and releases. Following the final module, students are expected to complete 25-50 practical sessions in order to qualify for the certification exam. The cost of the course in Europe is €1350. Payments may be made as 3 instalments, with the first payment (deposit) of €450 due at registration, the 2nd payment of €450 due before the start of the 2nd module and the final payment of €450 due before the start of the 3rd module. To register on a course, please complete the form below. We will be in touch as soon as we receive your application. If your request for registration is successful, you will be informed by email and you will then be asked to make your first payment of €450 to confirm your registration. All courses in Europe are presented by the founder, Benita Kropman, in English. However, we will provide a translator if needed. The Lyno Course in the UK consists of 3 modules, each running over a weekend and with a period of 4 weeks in between. The course is open to physiotherapists, osteopaths, massage therapists, sport therapists, physical trainers and everyone who has to deal with chronic recurring injuries and pain. The cost of the course in the UK is £1200. Payments may be made as 3 instalments, with the first payment (deposit) of £400 due at registration, the 2nd payment of £400 due by the start of the 2nd Module and the final payment of £400 due before the start of the 3rd Module. If your request for registration is successful, you will be informed by email and you will then be asked to make your first payment of £400 to confirm your registration. 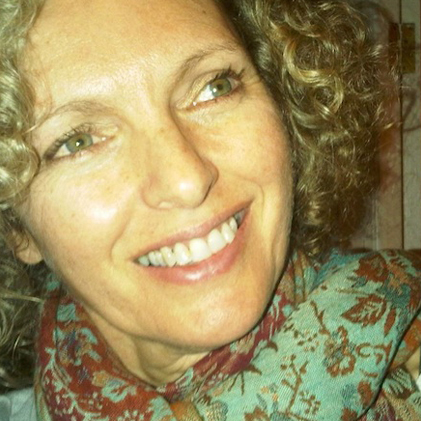 All courses in the UK are presented by the founder, Benita Kropman. Maintain the high standard of ethical conduct appropriate to membership of the Lyno Academy in which the interest and welfare of the client is deemed to be paramount. Respect the views and beliefs of their clients in regard to gender, ethnic origins, culture, sexuality, lifestyle and age. Maintain good communication at all times thus ensuring the client understands and has consented to all procedures. Where a client is a minor, then consent must be obtained from someone who can consent, on the client’s behalf. To respect totally the confidentiality of the relationship of coach to client. Seek appropriate advice in any situation in which the practitioner may lack the necessary competence or experience. Ensure that each client completely understands and signs the Lyno indemnity form prior to their first session. Maintain a detailed record of the full Lyno analysis and practical work of all clients and for each session. Provide information (if requested) to other health & sport professionals with client’s written consent only. This may include trainers, coaches and managers involved. Refer clients complaining of any signs or symptoms of pathology to a medical practitioner. Ensure by means of continuous update of information and training, a level of competence consistent with the highest standards of the profession. Abstain from any claim or statement misrepresenting the benefits of Lyno. The Lyno Method is a non-therapeutical complementary health modality that does not claim to replace any form of medical treatment. Members must hold the recommended professional indemnity and public liability insurance cover or an equivalent. Nothing may be advertised, published or presented in the name of the Lyno Method without the prior agreement of the Lyno Academy. The Lyno Academy may, on investigation, de-register any student or member contravening the spirit of this Code of Ethics and Conduct or on the grounds of any other act, which they may consider to reflect adversely on the good name and reputation of the Lyno Academy. Benita Kropman, founder of the Lyno Method®, qualified as a physiotherapist at the UFS in Bloemfontein, South Africa, in 1982. For the first 14 years of her career, she focussed mainly on sport therapy and specifically on triathletes, track and field athletes and runners. In the mid 90’s.